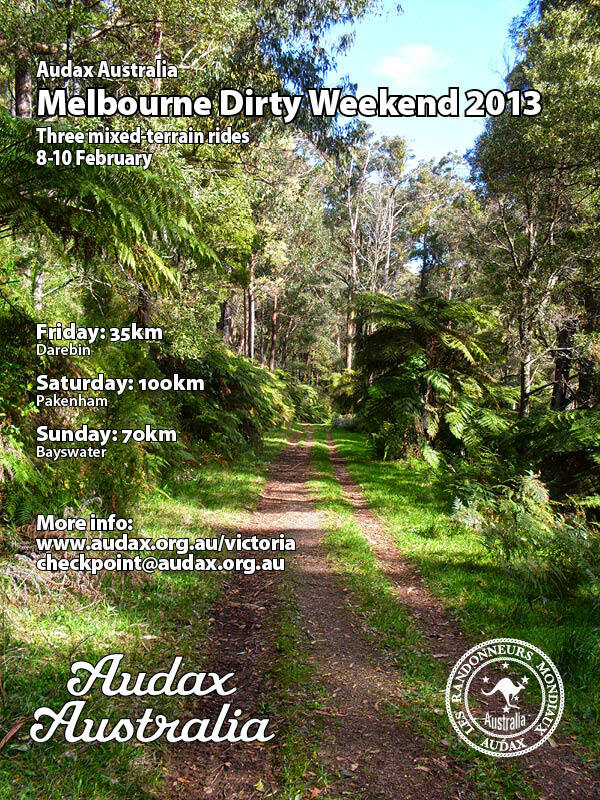 The Audax Melbourne Dirty Weekend is happening from the 8th to the 10th of February. Three mixed terrain rides of varying lengths, difficulties and locations. Can't go wrong. And it's an Audax event so you know it'll be done right and probably have awesome catering to boot! More details here. The second thing to stick in your calendar is... Dirty Gran Fondo 2013! Last year's Dirty Gran Fondo was a cracker and I'm sure this year's will be no different. Check out Fyxo's post about the 2012 event. An incredible ride bringing together MTB, CX and roadies in the Disappointment State Forest. Lock in the date : Sunday 19th May. More details here. Got both those things in your calendar? Good, now go ride!